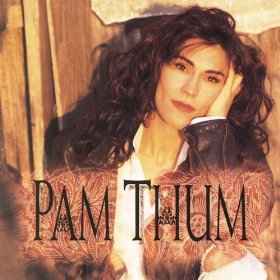 During the 1990's, Pam Thum released four albums, had four #1 songs, numerous top 10 radio hits, three Dove Award nominations, and played in countless concerts in the States and Overseas. She has toured with popular Christian artists 4HIM, Wes King, Newsong, Bob Carlisle, Tammy Trent, and many more, and loves to share her story of God's grace and faithfulness in her life. Pam Thum was the only child of traveling evangelists Bruce and Ruth Thum, producers of the very popular and unique drama, Heaven's Gates and Hell's Flames. The experience, which never kept them in the same place for more than a month, had both positive and negative effects on Pam. Thum's parents were very dedicated Christians and carried Jesus into every aspect of their lives. They taught her a great deal about prayer and helped give her the assurance that Jesus was always with her. Still, Thum grew up in a very adult world and often felt quite lonely. She learned to depend on Jesus at a very early age and often made up little songs to sing to Him to help her not feel so lonely and scared. Jesus was one of the only constants in her life and she knew she never wanted to leave Him. Pam's music career began when she was three years old and started singing on stage. As the years went on, Pam began to realize the effect music had on people and the hope that the words she sang often gave them. "I wanted them to feel the peace I did when I sang to God. I wanted them to feel as though Jesus were hugging them through my music." And so it began. 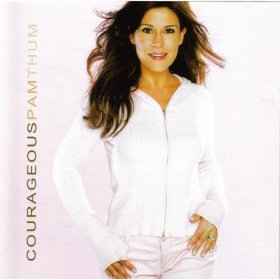 Pam Thum started writing songs when she was 16 and decided to pursue songwriting and performing as her own full time ministry. 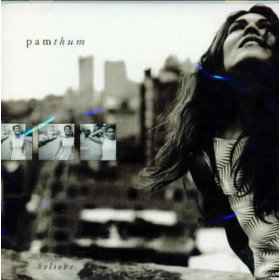 In 1987, Pam was offered a songwriting contract after her song "We Are An Army" was recorded by Trace Balin. She was offered a recording contract in 1992 and released her self titled debut album in 1993. The record was a huge success, with six of the songs making the top ten. She also received a Dove Award nomination for New Artist of the Year. Thum's geatest influences have been her parents and her Aunt Myrtle. Aunt Myrtle was a bundle of energy and was always hugging someone, taking people to church, baking cookies, teaching Sunday School, or singing joyfully to the Lord. Thum's greatest desire in her music is to be like her Aunt Myrtle and to love others where they're at and point them to Jesus. Perhaps one of the most surprising things that came out of Pam's immediate success was her popularity in South Africa. Shortly after the release of her first album, the readers of JOY Magazine, a Christian publication in South Africa, named her Best International Female Artist of 1993. On her first trip there, she was greeted by an enormous group of fans and a hotel room filled with flowers. Thum believes that God has given her a special platform in South Africa and she desires to use it for His glory. Today, Pam is married to Stephen Marshall and together they have built Pam Thum Ministries, which is partnered with several other "world-changing" ministries. Her mission remains the same - to fearlessly share the Good News of Christ with the world and encourage others to do the same. "We have the greatest news for this world," says Pam, "and we've spent too many years acting as if we're in some kind of secret club. People are living and dying without Jesus -- hurt, hatred, sickness, and fear have ruled for too long. I just feel an urgency that we've got to shake off the apathy in our lives and get bold and direct about our faith."